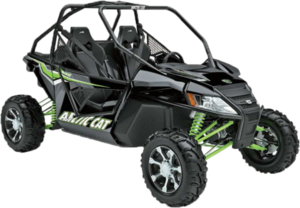 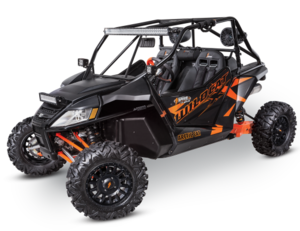 While speeding through the rough terrain in your Can-Am Maverick there are a ton of dangerous obstacles that you can run into. 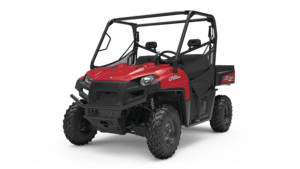 Key aftermarket accessories like a front bumper are extremely important to keep the front end of your machine safe from things like trees and large boulders. 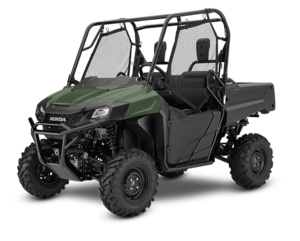 Unwanted damage to your UTV can happen without this type of protection. 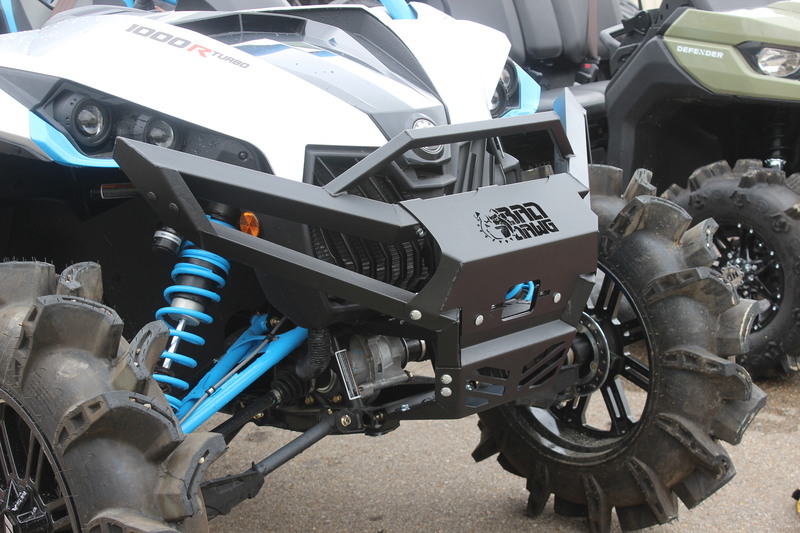 What your UTV needs is a bumper that will blow your OEM bumper out of the way with a sturdy and stylish upgrade. 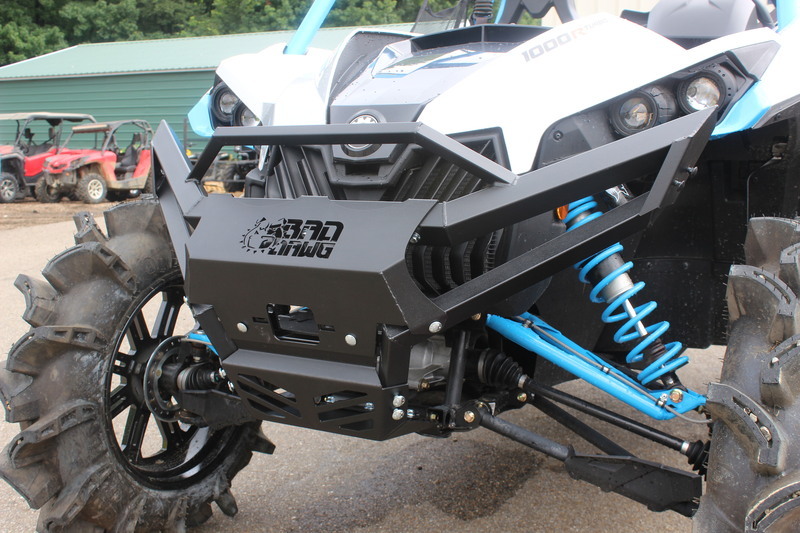 Check out the Bad Dawg Front Square Tube Bumper! 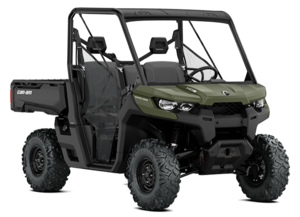 Features of this bumper include easy bolt up installation without the need of drilling or cutting for a less time consuming process, giving you more time on the trails. 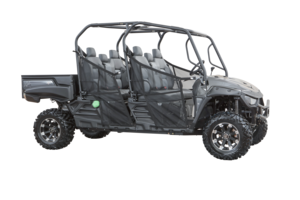 This is hand welded within Bad Dawg's factory in Batesville, Arkansas and is made from steel tubing for sturdy protection. 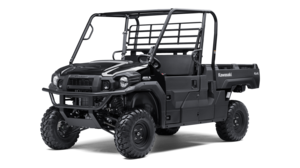 Along with strong metal, this bumper has a textured black powder coating, a material stronger than paint with remarkable protection. 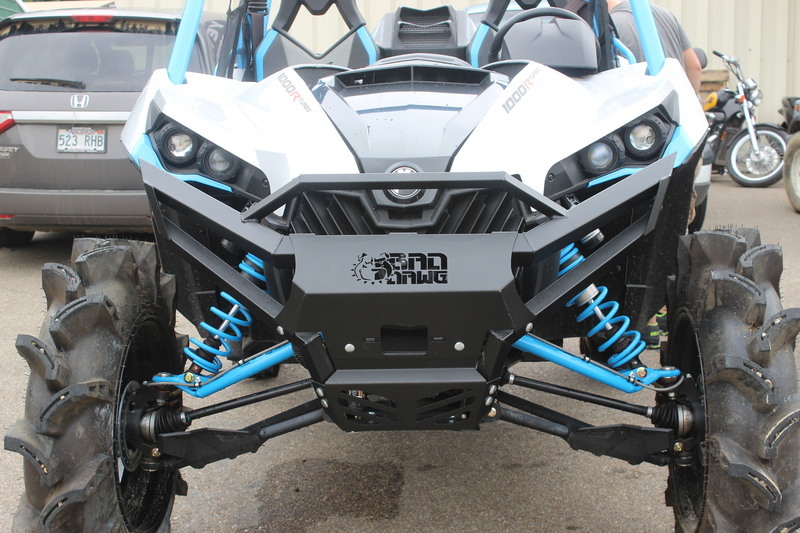 With these features, plus laser cutting for an excellent fit, the Bad Dawg Front Square Tube Bumper will provide your side by side with an amazing aftermarket bumper ready to withstand those crazy adventures!